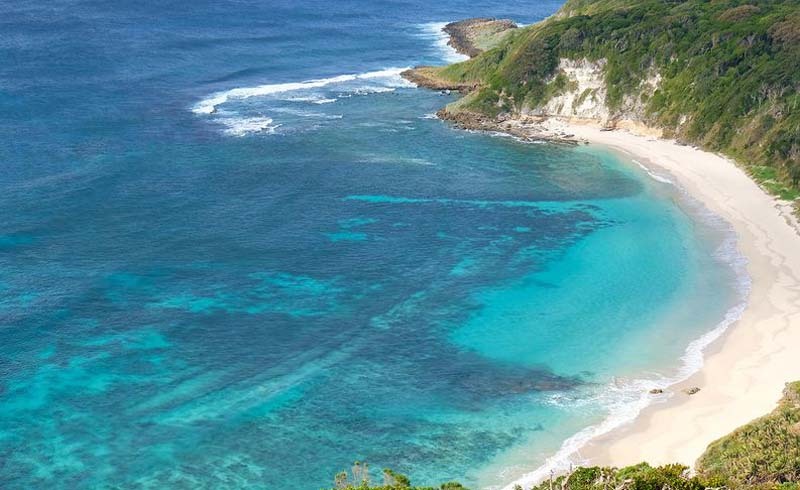 If you've never heard of Lord Howe Island, you're not alone. This remote Australian island (a two-hour flight from Sydney) only allows 400 visitors per year. Here's why you should add it to your bucket list. 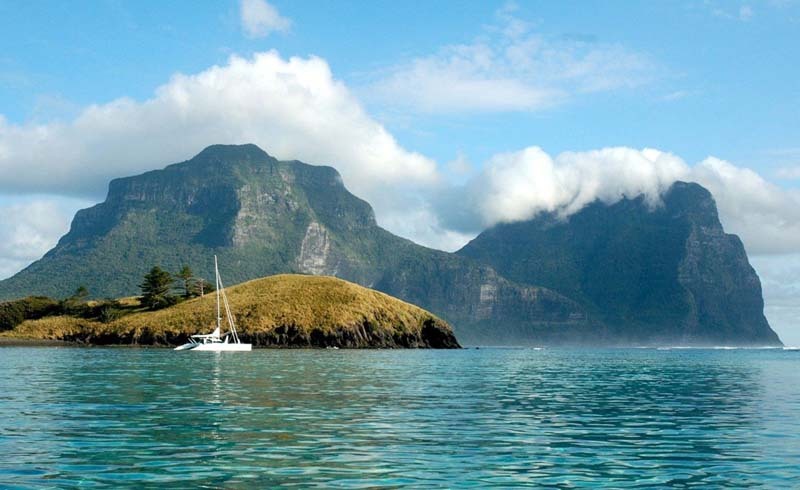 If you've never heard of Lord Howe Island, you're not alone. (We weren't familiar with the Australian outpost until we visited, either.) But there's so much to know — and love — about this far-flung paradise. Located 500 miles off the coast of Sydney (just a two-hour flight), this far-flung volcanic remnant was first settled by accident in 1788 by the crew of a British ship transporting convicts to nearby Norfolk Island. Today the remote rock is home to just 350 people who welcome a limited number of lucky visitors (only 400 at a time) to experience its awe-inspiring landscape and marine life, as well as its small-island charm. Read on for five reasons why Lord Howe Island belongs on your bucket list. For sure, if you're traveling from the United States or Canada, getting to this 5.6-square-mile gem is a haul and a half. First, we flew into Sydney from San Francisco, a 15-hour trans-Pacific odyssey on Qantas (Australia's national carrier). 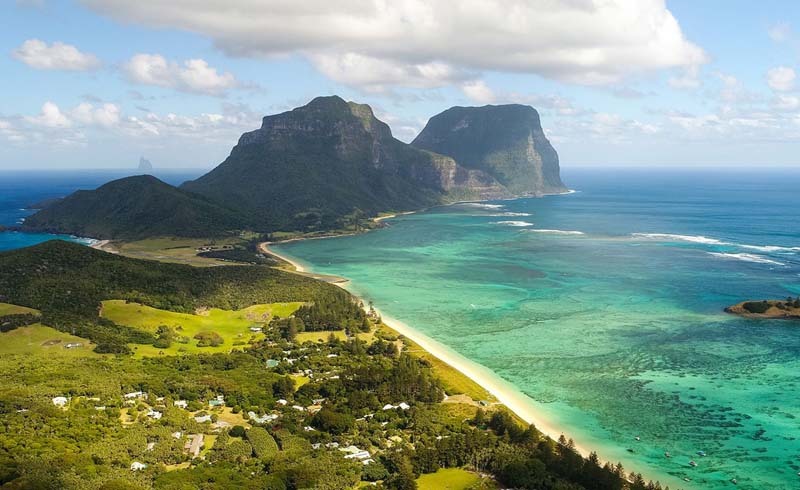 * Then from SYD it's about a two-hour prop plane flight to Lord Howe Island (LDH) on the regional airline QantasLink. But 500 miles and a 30-minute time difference later, as you glimpse the island's rugged emerald-green landscape rising from the sapphire Tasman Sea, you instantly feel a world apart from the city you left behind. And with no landlines (residents use satellite phones) and no public Wi-Fi on island, you can be completely disconnected from your cares, too. Let the digital detox begin. Want bragging rights for having been somewhere no one else in your social circle has? 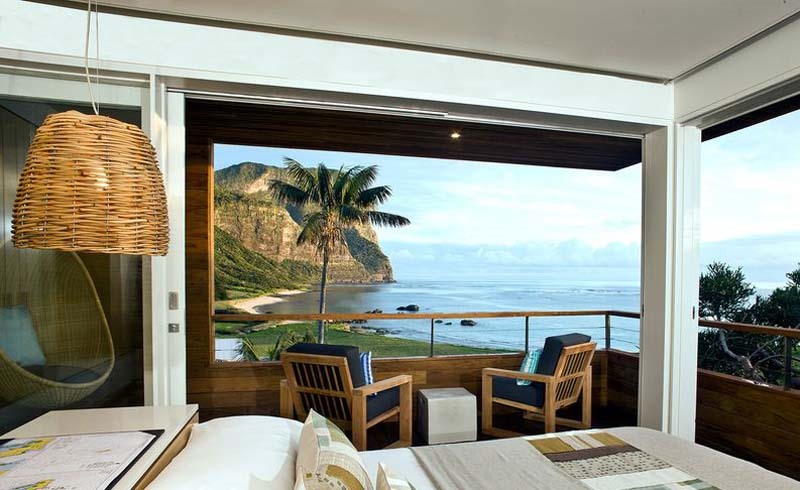 Then you need to start planning a Lord Howe stay. Designated a UNESCO World Heritage site in 1982 for its diverse landscape, species of birds and thriving coral reef (the island is second only to The Galapagos for endemic flora, fauna and fish), the 6-mile-long by 1-mile-wide isle has found a novel way to limit the impact of tourism on its environment. Lord Howe's governing board issues annual "bed licenses," each of which allows a hotel or guesthouse owner to accommodate one person. And since the pricey licenses (they can cost up to $100,000 each!) are limited to 400 each year, you'll only ever share this remote rock with a maximum of 399 other visitors. 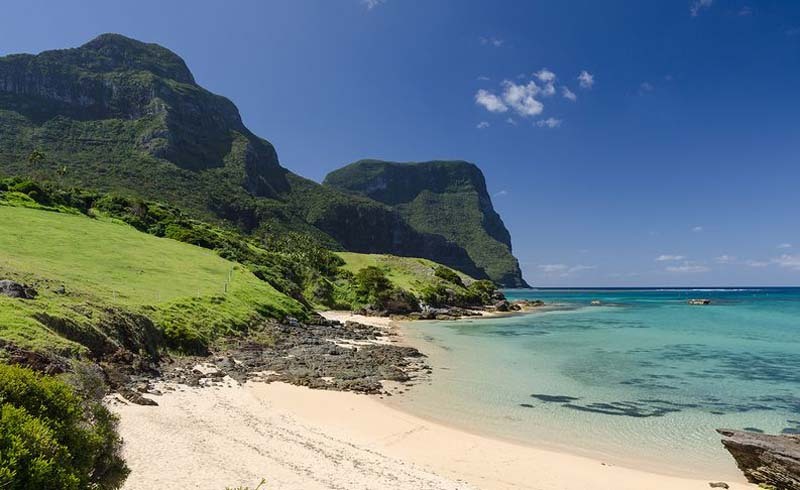 And in reality, Lord Howe is so secluded, sparsely populated and untrammeled that it's easy to feel as if you have it entirely to yourself, high season (December to April) or not. Lord Howe may not be spoiled but that doesn't mean you won't be while you're here. There are about 20 places to stay on island (mostly bed-and-breakfasts and self-catering cottages) but only three hotels. We split our stay between two, and were impressed with the amenities and the service at both. Twelve-room Arajilla Retreat, located on the island's northern end, is an intimate family-owned all-inclusive opposite Old Settlement Beach. Even more than the spacious two-story villas, we enjoyed the food, which was superb and surprisingly sophisticated when you consider that most ingredients must be imported and arrive via ship from the mainland only twice a month. Do yourself a favor and even if you're not staying here reserve a table for dinner. Located on the southern part of the island, Capella Lodge is fresh from a four-month-long renovation. The vibe is relaxed yet sophisticated and its nine contemporary-style suites are completely in sync. Some have sleek fireplaces perfect for cozying up together; others boast private decks with stainless steel hot tubs cantilevered over palm trees; and four people can share the two-story Catalina Suite, which has a pebble-shaped outdoor bath tub and views of Mount Gower and Mount Lidgbird from the deck. 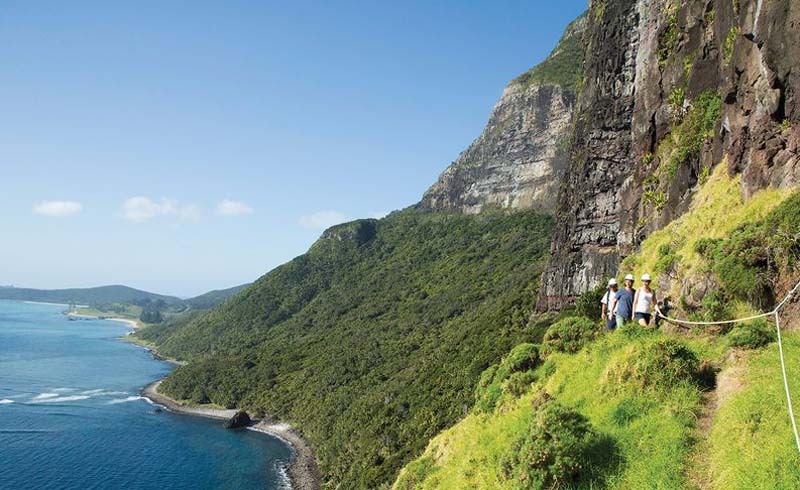 Even if you think you won't want to hike, take our advice and pack sturdy shoes because Lord Howe's landscape is so stunning you'll want to explore its beaches, mountains and byways. You can see a lot of the island by bike (there are 600 of them here, and only 30 cars) but nothing beats being on foot. "Bush walking," as they call it here, is made easy via a network of 13 marked and well-maintained trails, ranging from easy sea-level strolls (Class 1) to steep and exceptionally challenging adventures (Class 5). The island's signature hike summits its highest point, 2,871-foot Mount Gower. It takes about eight hours round-trip, includes steep drops and requires use of assistance ropes (gulp!). Less intrepid explorers will be content to explore the island's interior (and enjoy panoramic coastal views) on shorter, less strenuous jaunts such as the walk from Malabar to Dawson's Point. Touching down on a sunny and warm day, our first impression of Lord Howe was that it looked like Australia's Caribbean. Groves of Kentia palms punctuated the hilly landscape and coastal roads wound past zinc-roofed bungalows with wraparound verandahs. But it was the postcard-perfect beaches that sealed the similarity. More than two dozen strands fringe the coast, including the broad and popular sweep at Lagoon Beach, which has views of Rabbit Island in the distance. Old Settlement Beach, invisible from the road, is perfect for a beach day, and at high tide you might even spot Green and Hawksbill turtles. At Ned's Beach, a dollar inserted into a dispenser buys you a handful of fish food. Wade knee-deep into the water and you can hand-feed the wrasse and mullet that quickly surround your feet. Want to do more than just sit on the sand? There's good surfing at Blinky Bay and superb snorkeling in the water around Ball's Pyramid, a rocky spire about 12 miles offshore. 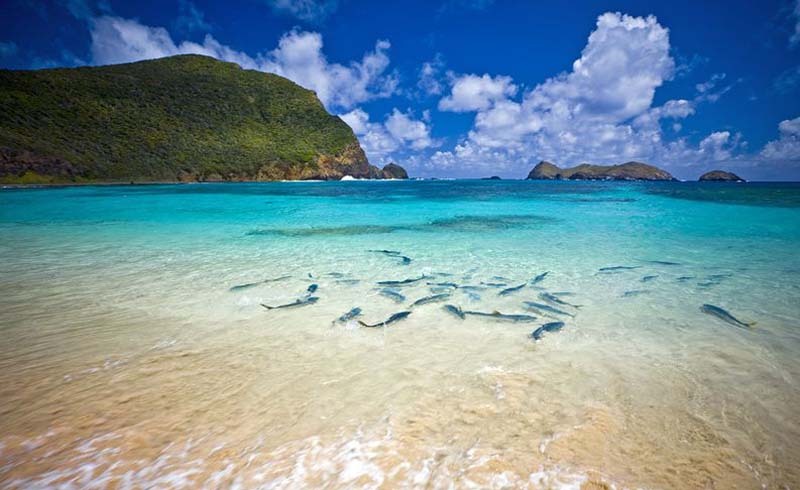 You won't need to get wet to see the island's marine life on Lord Howe Environmental Tours' two-hour glass-bottom boat excursion, which reveals the jellyfish, parrotfish, wrasse and sergeant majors that thrive amid the sub-tropical reef, which is the world's southernmost.